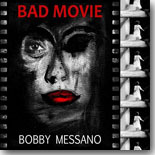 Blues Bytes has now been publishing CD reviews (well into the thousands) for over 20 years. If I must say so myself, "Wow!" As with every previous year, we use the January Pick Hit to feature the reviewers' Top Ten Lists for the past year. Here's my list of ten favorite CDs from 2017. Enjoy! Ms. Fish has turned herself into one of best in the business. Without a doubt my favorite CD of the year. For those of us who have been missing the music of the Holmes Brothers since Wendell and Popsy passed away, this gem of a disc popped up in 2017. Yep, it's Sam again. But she goes in a very different direction with this album inspired by the primal sounds of the Mississippi hill country. This CD is showing up on a lot of Top 10 lists this year. No surprise there. This one really caught me by surprise. Great blues from a rising star. Blues and boogie from quite likely the best blues harmonica player and singer on the scene today? What's not to like here? The fact that it's being called Volume 1 hopefully means there's more on the way. Yes, please. 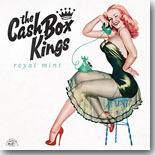 These cats are a guaranteed party in a jewel case (or in your download library, if that's how you roll). This group of Bay Area stalwarts just keeps going on and getting better. Memphis blues and soul at its best! Every year while editing our contributors' Top 10 lists I wind up downloading an album that got past me the previous year. This year it's this great sophomore release from Dennison, which is why my list is getting bumped up to 11 selections. This was a year of some of the finest recent releases by Alligator artists. Half of my list is made up of award-worthy recordings from Alligator Records. The list below appears in no particular order. 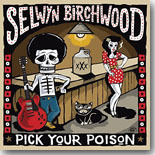 Selwyn Birchwood � Pick Your Poison (Alligator). Birchwood seemed to have appeared on the scene back in 2014 from out of nowhere. This disc solidifies him as one of the finest contemporary artists on today�s scene. Tommy Castro & The Painkillers � Stompin� Ground (Alligator). Castro switched formats four years ago when he dropped the horns. This release proves he is still the rock and soul artist of our era. One of the best performing and recording bands on the scene today. One of the best releases from the blues/rock aficionado. This is a stripped-down recording that is irresistible. This disc has recently been nominated for a Grammy Award. Sounds like this was recorded in Chicago in the 1950s. If that is the sound you love, you will love this disc. If you missed their spectacular tribute to Otis Rush at the 2016 Chicago Blues Festival, no worries, you can now hear this brilliant duo perform on this fantastic disc. Corey honed his chops performing with Carl Weathersby for many years. Now, Dennison is a stand out recording artist on his own. Founding member Nick Nixon has been forced to retire from touring with this fantastic band, yet he shares the vocals here with Alabama Mike. The result is one of the best blues albums of 2017. These two recorded their first disc in 2013. They return with their magical combination of Chicago blues. Combining one of the last remaining real deal Chicago blues guitarists with a real deal blues harmonica player creates a blues bliss that is pure. And I am throwing in this extra recording for good measure. 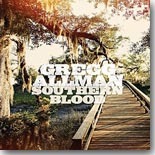 Various Artists: Henry Gray, Taildragger, Alabama Mike, Terry Hanck, Kid Andersen, John Blues Boyd � Howlin� At Greaseland. It seems Kid Andersen was involved with a plethora of productions and releases in 2017 which were recorded at his Greaseland studio in San Jose, California. Howlin� At Greaseland is one of the better ones. How many musicians get the opportunity to make their own closing statement on their career? Allman made the utmost of his chance and has set the bar pretty high for future efforts. It will make you cry and smile, sometimes simultaneously, but it�s a perfect summation of his life. I left Dennison�s debut off my Top 20 last year, a grave error I do not intend to repeat this year. Actually, his sophomore effort is even better than his debut to these ears. Okay, if you have a remote interest in New Orleans R&B, you need this disc. These guys come about as close to capturing the rollicking good-time feel of the Crescent City beat as any band I�ve heard in a long time. Two of Austin�s finest musicians, singer Malford Milligan and guitarist Tyrone Vaughan, join forces for a collaboration that should have happened much sooner. Nobody does the blues with soul like Johnny Rawls does. He�s been doing it so long and so well that it�s just not in his DNA to do anything else. May he continue to do so for many years down the road, but this set will be hard to top, even by Johnny Rawls. The talented Mississippi Blues Child raises the bar significantly on his third release, which should find a home in the collections of not just soul/blues fans, but also contemporary blues, urban blues, blues-rock, and lots of other hyphenated blues fans. Turner pays tribute to his late brother Freddie King with this wonderful set of tunes associated with the great guitarist. An impressive tribute to Howlin� Wolf that brings together a number of artists influenced by the great performer (Alabama Mike, John Blues Boyd, Rockin� Johnny Burgin, Rick Estrin, and Kid Andersen, whose Greaseland Studios served as Ground Zero for the project) as well as several who actually played with him (Henry Gray, Tail Dragger). One of the nicer comeback stories in recent years, Walker finds the perfect complement to his timeless voice in Paule�s band. Monster Mike Welch and Mike Ledbetter � Right Place, Right Time (Delta Groove Music): Veteran guitarist Welch and singer Ledbetter participated in the Otis Rush tribute at the 2016 Chicago Blues Fest, which led to this appropriately-titled album. Just a wonderful collaboration between Taj and Keb, my choice for record of the year. Excellent effort from Ronnie, it's been too long since he's had a record out. Deserved a better fate in regards to both the Grammy and Blues Music Awards nominations. Bobby turned lemons into a keg of lemonade with this one. Karen's best record to date. Just a wonderful record from my friend from Oregon. Love this record from Walter!! He killed it with this release. My favorite record from Luther and Cody. An amazing recording. An outstanding collaboration between Robert and the Hi Rhythm section. Smooth as butter. An excellent disc from Lauren. Loved her work here and the recognition the disc generated was well deserved. Excellent initial recording for the two Mikes. All of the recognition it is generating for them is well deserved. An impressive record representing the Blind Pig Records label. Soulful, passionate, just a great record to me. Honorable Mention: Southern Avenue - Southern Avenue, Savoy Brown - Witchy Feelin', and Thorbjorn Risager & the Black Tornado - Change My Game.